A little of this. A little of that. It’s January. It’s cold and snowy. Have fun while you’re hibernating but don’t stay inside and mope. 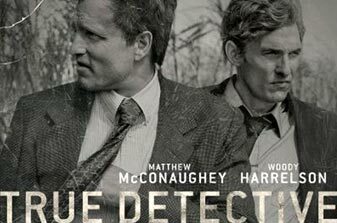 True Detective (in the Sunday night quality TV ghetto) starts out in 1995 like a police procedural when they find the first evidence of a serial killer who performs ritual murders. It’s also a character study of the two detectives, who are seen in 2012, testifying in separate internal investigations about the case. The show is intense and the plot will keep your attention. But the best thing about the program is the writing. I’ve watched the first three shows and each time I hear several lines I want to write down, usually spoken by McConaughey’s character, who has been through a failed marriage and lost a child in an accident. He’s cynical, brooding and critical of religion. He often offends his partner, who represents the traditional small-town milieu in which they operate. The Grammys have become more of a variety show than an awards program since most awards are presented off-camera. But the musical performances are often absorbing collaborations between performers you would not often see together on a stage. The most publicized teamups this year were Daft Punk with Pharrell Williams and Stevie Wonder and the super-hot opener by Beyonce and Jay Z. But my favorite was the classical pianist Lang Lang with Metallica. They performed the Metallica song “One,” which was inspired by the Dalton Trumbo book and film, Johnny Got His Gun, a horrifying war story. Footage from the 1971 film formed the backdrop for the Grammys performance. It was a song you had to pay attention to. You have to love a radical folk singer who never gives up his activist ideas and activities into his 90s. 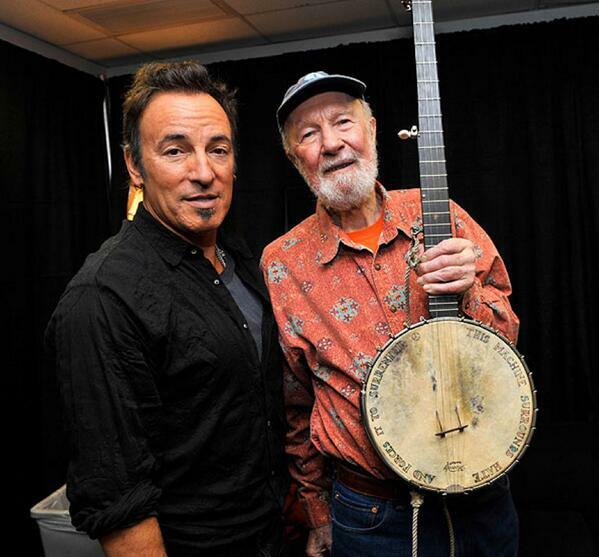 Pete Seeger was a national treasure and role model and leaves us with so many memories. Like his performance with Bruce Springsteen at the 2009 inaugural concert. (The description of Seeger above is from Springsteen’s New York Times comments on January 29.) And his performances of children’s programs on educational TV when he was banned from the commercial networks. After Pete’s death on Tuesday, a testament to his grittiness surfaced: the transcript of his testimony before the House UnAmerican Activities Committee in 1955. He never took the Fifth Amendment; he persisted in saying the committee had no right to ask him questions about what he belonged to or for whom he played and so he wasn’t answering. He would talk about his songs and that was it. Great reading. I’ve had Rosanne Cash’s album The List on my iPod for a long time—and full confession: I bought it because she does a duet with Bruce Springsteen on “Sea of Heartbreak.” It’s a fine album and now I have her newest as well. It’s The River and the Thread, an excellent album of original songs by Cash and a few collaborators including her producer husband John Leventhal. The thread follows the towns along highway 61, the main highway from Memphis to New Orleans, also famous as a musical route because of the many songs written about it, including Bob Dylan’s “Highway 61 Revisited.” Most of the songs have road references and a strong sense of place. So far, my favorites are “Modern Blue” and “World of Strange Design.” There are many layers of culture and memory in these songs, plus the sound and the beat are more vibrant than her previous work. Rosanne Cash is worth a listen. I puzzled over it before writing my review, but it is really a fun and adventurous outing by Sideshow and displays the versatile acting chops of the five performers. 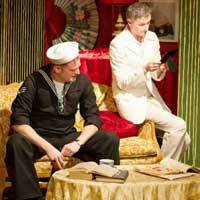 The Golden Dragon runs until February 23 at Victory Gardens’ Richard Christiansen Theater. The Little Prince is adapted from the beloved story by Antoine de Saint-Exupery and Lookingglass gives the wonderful story its due with a terrific production. I’ve loved this story forever and enjoyed reading it with my children as well as reading it in Spanish and French when I was studying those languages. The play is produced by Lookingglass with the Actors Gymnasium, so there is plenty of flying, zooming and energetic action on the deceptively simple set. The play is poetic, visually beautiful and emotionally satisfying. 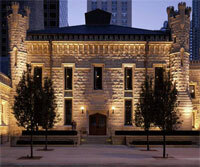 It’s extended until March 16 at Lookingglass’ Old Water Tower space. The Hypocrites is doing a trilogy of mostly unproduced Tennessee Williams plays at their space in the Chopin Theatre. The first—Tell Sad Stories of the Deaths of Queens—is set in the rather baroque lobby area in the downstairs space. For the second—The Remarkable Rooming House of Madame Le Monde—the audience moves into a creepy London boarding house set—and finally to a St. Louis hospital ward for The Big Game. Director Matt Hawkins takes the same cast thru each transformation. The first play is the longest and the most successful. Patrick Gannon plays a wealthy transvestite who brings home a sailor, played by Joseph Wiens. The drinking, seduction and interaction is quite intense and well performed by the two actors. The second play seemed most unlike any Tennessee Williams play I have ever seen and had a strong Brechtian flavor—and for a moment, took a Sweeney Todd turn. It was, I can only say, odd. The third play is about a young man with congenital heart disease and his two roommates, one a football player on his way to the titular game, the other with a severe brain disease. The play is fraught with disease and death, as are many of Williams’ plays. The trilogy is an interesting, if uneven, evening of theater. The Tennessee Williams Project runs until March 2. I’ve seen a bunch of movies lately too, but I wrote about Movies, Movies, Movies last week, so I’ll save these for my next film fix: The Wolf of Wall Street, Princess Mononoke, Captain Phillips and Like Father, Like Son. And probably more. Thanks for your story. I love all the memories of Pete that are surfacing this week. Superb blog! Do you have any tips for aspiring writers? I’m hoping to start my own site soon but I’m a little lost on everything. Would you suggest starting with a free platform like WordPress or go for a paid option? There are so many choices out there that I’m totally confused .. Any recommendations? Many thanks! Thanks for your comment. Yes, I would suggest starting with a free, user-friendly platform like WordPress, altho I know there are others that are similar. WordPress works well for me. It offers many design themes, so you can see how your content will work in each format. Try it out and play with a few. My best advice is just: write, write, write. And get others to read and give you feedback if possible. True Detective is absolutely brilliant. When it gets too grim, I like to imagine the leads briefly slipping into their characters from [i]Dazed & Confused[/i] and [i]Kingpin,[/i] respectively.